Pastor Jeff and Lorie Carrell have a heart for people to be saved and set free, and they live their life committed to this vision. 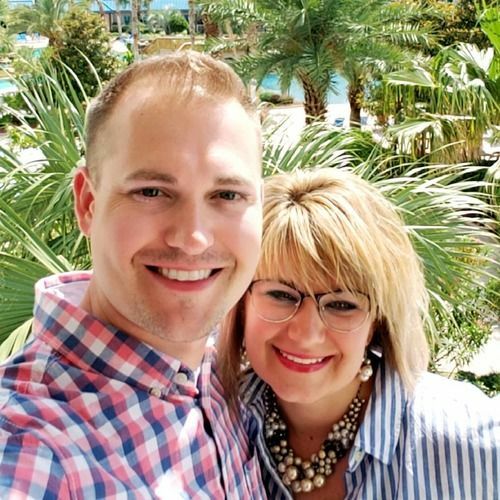 They have been married for 34 years and have 2 children, Ashlyn (Chad - Son in Law, Adyson and Sadie- Granddaughters) and Justin (Jenni-Daughter in law, Judah-Grandson). Pastor Jeff surrendered to full-time ministry in 1993. While he was in business in his early 20's, God had a calling on his life to preach the Word and lead people to Jesus through an evangelistic ministry. After surrendering, he pursued his education and obtained his Bachelor's Degree from Mid Continent Bible College and his Master's and Doctorate of Theology from Southwest Bible College and Seminary. He was honored to serve his childhood Pastor, Bro. Don Young at Heartland Worship Center in Paducah, KY as the Adult Pastor from 1997-2004. In 2004 Bro. Don released Pastor Jeff as a Senior Pastor to Huntington, Indiana. 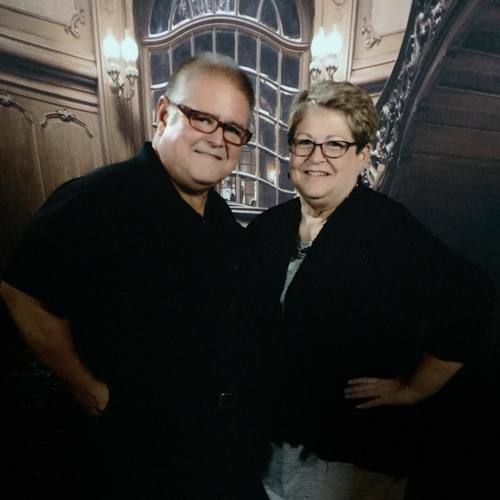 He and Lorie recently celebrated 25 years of ministry. They launched the Awakening Church in October 2009 and the Indiana Dream Center in Spring 2010. 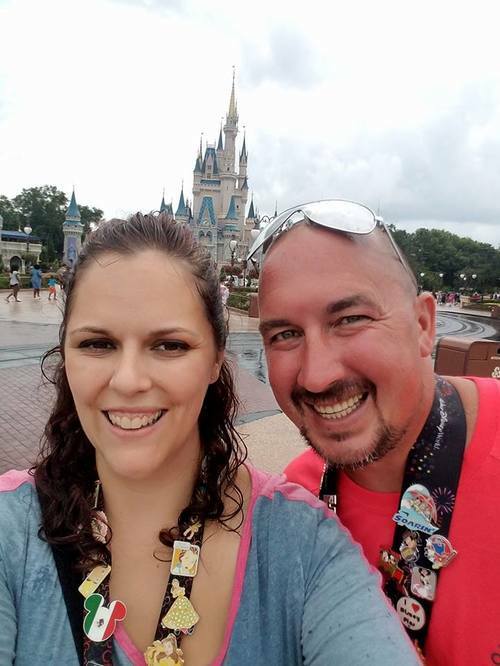 They love their date days, trips to Florida, spending time with their kids and grandkids, reading, and connecting with other Kingdom minded Pastors and Leaders. 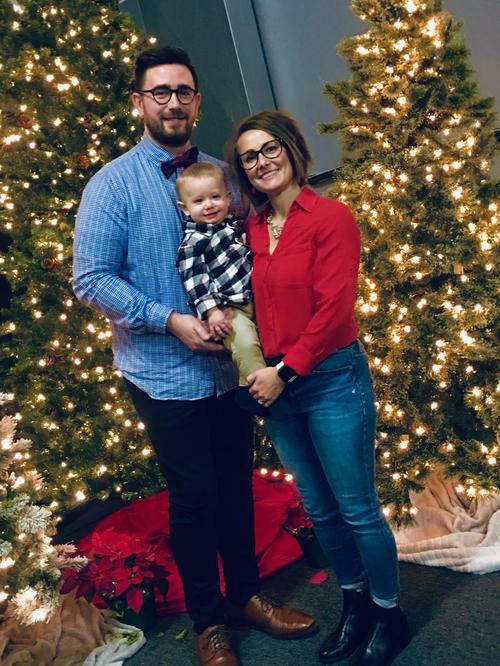 Pastor Ashlyn Kippert is a worshipper of Jesus, a wife to her best friend of 11 years, Chad, and a Mother to two Miracle Girls, Adyson(7) and Sadie(5). She is a Teacher and Preacher of the Word, an Author, and the Associate Pastor of The Awakening Church in Indiana. She completed her Bachelor's degree from Purdue University and her MBA from Indiana Wesleyan University. She loves date nights with her husband, Target runs with her girls, coffee talks with friends, and quiet moments reading/studying. She founded Stepping In Ministries in January 2017 with a desire to see women free, women growing in the Word, and women pursuing their dreams and passions whether at home, work, or ministry. Stepping In Ministries offers conferences, one day events, discipleship weekends, vision weekends for leaders, mentorship opportunities for women to live their dreams, a Titus 2 Ministry, a boutique online (coming soon! ), and bible studies/books to lead women to study the Word that will forever change their life. Pastor Greg and LuAnn have been married for 41 years. When you see these two, you meet true servants of God. They are blessed to have 3 children. Their oldest daughter Sherist is married and they have twin 15 year old boys. Their second daughter, Jillian is married and they have 3 children. Their son, Nathan is single. Lu Ann retired from QDP Warehouse as warehouse manager also in 2009. Greg received his Associate of Science in Technology from Vincennes University in 1994, Bachelor of Arts from Concordia University Wisconsin in 2004 and his Master of Science in Management from Indiana Wesleyan University in 2007 before retiring as the Joint Activities Representative at General Motors, Marion in 2009. During his thirty two-year career there, Greg worked on several projects in addition to his contribution to General Motors. Greg was contributor and reviewer on two text books, High Performance Manufacturing and Green Manufacturing; he was able to teach from these texts during some classes he led while an Adjunct Faculty Member at Ivy Tech, Concordia University and Purdue. Greg is the President/Consultant of Awesome Organizations where he improved performance, safety and efficiency for the City of Marion; contributed to the creation of the training function at Mid-America Science Park and prepared the employees at GM Bowling Green to assemble the C7 series Corvette, where they leaped two generations of automation to build the world class car. Greg was the Transition Director at the Indiana Dream Center and an elder at the Awakening Community Church. 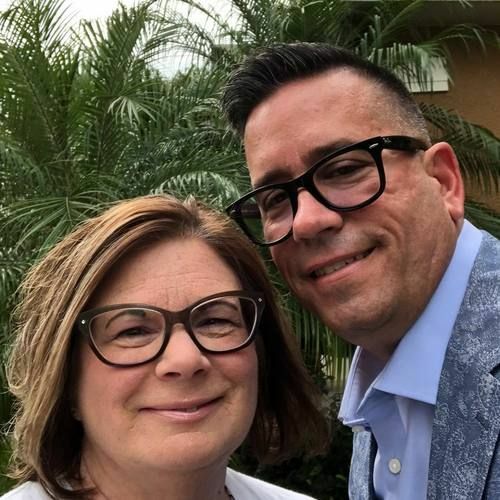 Greg volunteered as Board Member of Afena Federal Credit Union; during his twenty-two years he performed every position on the board including six years as the Chairman. Greg was a Leader for Boy Scouts of America for eighteen years eventually becoming the District Chairman serving four counties. Greg held every position on the Friends of Upper Wabash Interpretive Services board; responsible for funding several projects at local reservoirs and state parks, including the Raptor Center at Salamonie Lake. Greg and LuAnn love to serve together, they live their life as a team! They also love to travel together as well. Pastor Greg and LuAnn have been married for 41 years. When you see these two, you meet true servants of God. They are blessed to have 3 children. Their oldest daughter Sherist is married and they have twin 15 year old boys. Their second daughter, Jillian is married and they have 3 children. Their son, Nathan is single. Lu Ann retired from QDP Warehouse as warehouse manager also in 2009. Greg and LuAnn love to serve together, they live their life as a team! They also love to travel together as well. Angie Garner loves to serve and is passionate about people. She sees those who everyone sees and those who are not seen by others. She has a gift of hospitality and functions in that everyday of her life. Angie and her late husband, Don, began serving at the beginning stages of The Awakening and Angie continues to do just that. Don, her best friend and love of her life, went to be with the Lord in June 2017. Through her loss, she uses her love and gift to minister to people right where they are, without judgement. She is a mother to 3 sons (Jaime, Jeremy, and Heith) and step mother to 1 son and 2 daughters, her son Heith went to be with the Lord in 1995. She is also the grandmother to 12 children. She loves to help women find their value and feed people physically so that she can minister to them spiritually. She loves to decorate, shop, and spend time with girlfriends over coffee and dinner. Jennifer grew up in Huntington County and calls The Awakening Church her home. She is thankful to her Gram and Gramp for taking her to kids church, kids club and church camp and the foundation they gave her. Through many difficult experiences and situations in life she lost all faith, hope and trust in God until He radically changed her life. She rededicated her life back to God in 2008 and never looked back. She married her soulmate, Justin, in 2009 and they were blessed with their miracle son, Judah Lee, in 2017. Jennifer has a passion for families and a strong desire to make sons and daughters feel welcomed, loved and a part of the Kingdom of God. She has a Bachelor of Science in Human Service Management. Jennifer is a stay at home momma after working in the human service field for nearly 15 years. Her life verse is Genesis 50:20 which reads, “You intended to harm me, but God intended it for good to accomplish what is now being done, the saving of many lives.” (NIV). Jennifer looks forward to meeting and serving your family at one of our services. graduated from The Awakening Internship in 2017. Her and CJ enjoy going on trips, spending time at the beach and playing board games as a family. Taryn Fusselman met the love of her life, Austin, in high school and have been married for 8 years. They have two children, Ainsley and Anson, ages 6 and 4. Taryn has served as the Awakening worship leader since the church launched in 2009. She is a faithful servant not only in worship, but in many areas of ministry. Taryn plays keys, leads the vocal team, works with the Worship Music Director on worship sets and new music, and serves on the creative team. 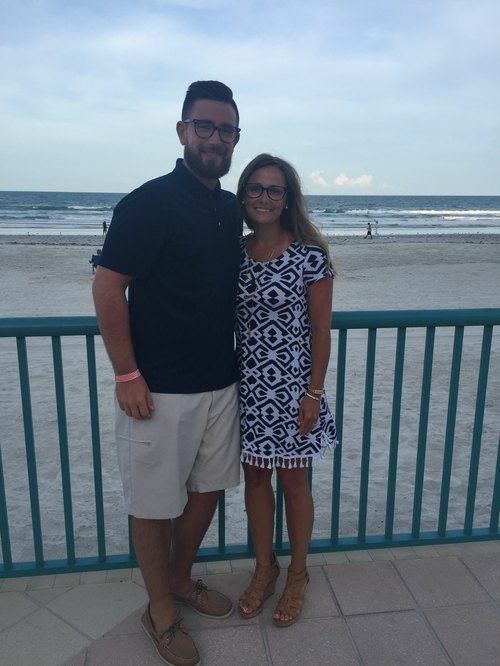 Austin enjoys watching sports as well as woodworking, while Taryn loves music and creating things and reviving furniture pieces for their business, Homegrown. As the Worship Music Director for The Awakening Church, Justin oversees the band aspect of the worship team. He has been serving as Worship Music Director since 2014. Justin has a passion to lead people into a worship experience and see them have a true encounter with God. He has his Bachelor degree from Purdue University in Organizational Leadership and he is serving as the Director of Business Affairs at Indiana Wesleyan University. He and his wife, Jennifer, have been married since December 2009. They have a miracle son named Judah. When Justin isn't playing drums and leading the band, you can find him watching Kentucky basketball, spending time with his lovely wife or wrestling with his adventurous little man.